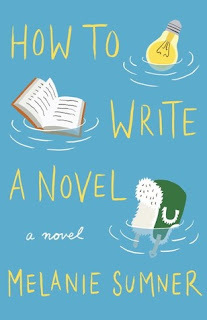 In the spirit of Maria Semple’s Where’d You Go Bernadette and Graeme Simsion’s The Rosie Project, How to Write a Novel is the hilarious and heartfelt story of a single-mother family struggling to get back on track after tragedy brings them back home to Georgia. Aristotle “Aris” Thibodeau, age 12.5, is writing the Great American Novel. According to Write a Novel in Thirty Days! it shouldn’t be that hard—all she needs to do is write what she knows. Conveniently, Aris’s world is full of people who are more fun to write about than live with, like her single mother, Diane. Diane is an adjunct English professor who flirts with unemployment more than her Match.com dates, and, regrettably, does not know the difference between hair that looks messy and hair that is messy. Aris knows that if Diane would just accept that the perfect man is already under her nose—Penn MacGuffin, handyman, nanny, and self-described PMI (“Positive Male Influence”)—their lives would change for the better. After all, nothing gets a novel off the ground like a budding romance. But when a random accident exposes Aris to a dark part of her family’s history, she’s forced to confront that fact that sometimes in life—as in great literature—things might not work out exactly as you hoped. Aris is a 12 1/2 years old, who after receiving a copy of the book 'Write a Novel in 30 days" begins to write the great American novel. She does this with the hope of striking it rich at which time she can help her family out of financial difficulties. Set over the space of 30 days we learn a lot about the family, how they got to where they are and the tragedy that befell them to get there. I love the idea of this book, any book about books is always a good thing. The synopsis above does a good job showing what this book is about, so no need to go over that. Told from the POV of Aris (short for Aristotle) it is funny, quirky and honest. Along with Aris is her mother Diane, each struggling with their own issues. This is a book about dealing with grief, growing up and family. It's about a long buried secret. 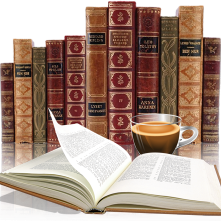 It's a quick read and though YA, How to Write a Novel will also appeal to adults. Thank you to Netgalley for the opportunity to review this.